After recently starting to play bass in a new band, I wanted to get something to help give me a more unique sound - not all the time, but enough to make my bass stand out a bit more. It was a weird day. I went to my local GC and my friend Brian let me go into a back room with a bunch of bass wahs to try out (through an amazing Ampeg half stack!). I found a winner after about an hour - well, I found it within 20 minutes but jammed to myself for the other 40 minutes! Dunlop makes some of the best guitar wah pedals around. For that reason, I was looking forward to playing my Fender P-Bass through this. I was pleasantly surprised with what I got out of this pedal. 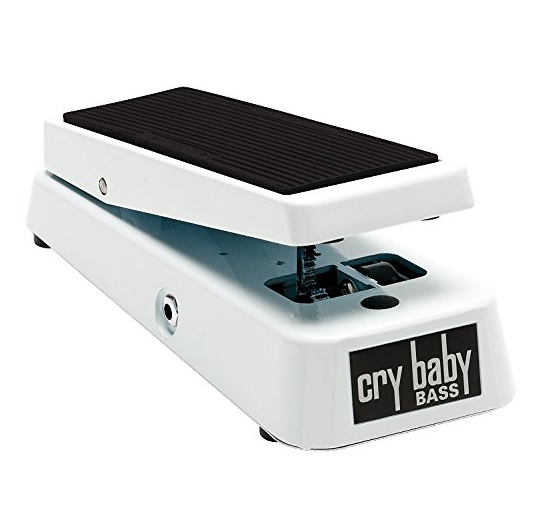 This particular bass wah is what it sets out to be, A Cry Baby Wah that is designed and adjusted to work better with bass frequencies. 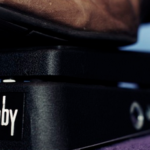 The Dunlop 105Q Cry Baby Bass Wah is a better wah effect for bass because the filters focus mainly around the high and mid range frequencies of the signal. The fact that it does this makes the effect keep the integrity of the bass’s dry signal when it comes to the most critical frequency range of the bass, the low end. The unit also has a knob on the side where the player can adjust the “Q.” This parameter decides how broad the range of the filter is. Lightweight and the perfect size. Not a lot to say here. If you like wah added to your bass, you can't beat it. Just about every metal bass player in history is influenced by the sound of Cliff Burton. Cliff Burton, unfortunately, died in a bus accident in Germany early in his career. He still produced enough to be regarded as one of the greatest bassists in the history of American metal music. 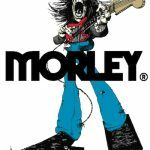 The Morley PFW Cliff Burton Tribute Power Fuzz Wah is essentially a remake of the wah pedal that he used to shape his sound in the early 80s. The pedal was originally constructed in the late 1970s. It is two different effects units in one. It can be just a fuzz pedal or just a wah pedal. Of course, you can combine the sounds if you so desire. The wah has a vast dynamic range. The fuzz can go from just slight addition to the overdriven bass sound that the iconic Metallica is associated with. Flip on the vintage switch to get a classic rock fuzz sound. The pedal is so dynamically responsive that I think it would be a great wah for other instruments like guitar and keyboards as well. Battery is included! It can also be powered via a proprietary 9V adapter. The fuzz seems a bit "tinny" for my liking. Still a great pedal though! The wah is the iconic effect of funk bass. It has been used by many famous rock bassists. Morley has been constructing world-class bass wahs for a long time now. 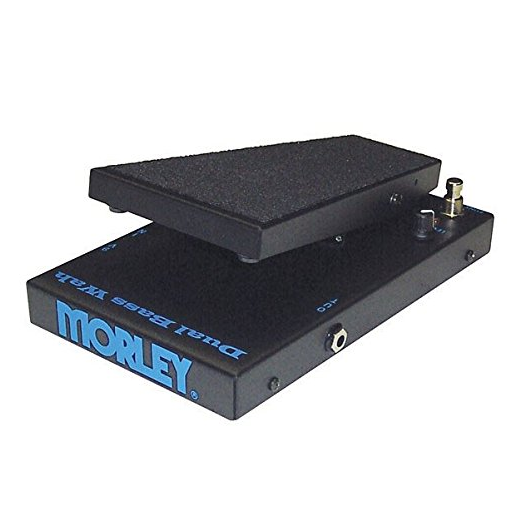 2 in 1 – The Morley PBA-2 Dual Bass Wah with Two Wah Modes is two separate versions of the pedal in one package. I had a blast toggling back and forth between the two modes and exploring the possibilities. There is a funk wah mode for a more funky style and the traditional wah is ideal for hard rockers. They are both incredibly expressive. Dry Signal Integrity – The Clear Tone Technology helps the effect maintain the dry signal while modulating it. The dry signal is unaltered in both bypass and wah mode. It’s rugged – The PBA-2 is an ideal choice for a touring bassist. I know some other musicians who have had the same Morley pedal for 20 years, and it still works. You can always rely on Morley’s quality construction. The pedal can be both powered by a 9V battery or a 9V power adapter. I found that the power adapter gave the pedal a little clearer tone. There is a wah output knob that helps adjust the amount of the effect in the signal. I did notice a bit of tone suckage with this when it was engaged. I seemed to lose some of my volume. Not enough to be a deal breaker though. A welcome addition to the bass effects market. It provides three different functions in just one effect floor unit. The unit’s versatility makes it much more useful. I had a blast switching through all of them and checking out their capabilities. The price is great on this pedal considering it is a volume, wah, and an expression pedal. This means it does all three of things at a third of the price and while taking up one-third of the room in your signal chain. It has effective true bypass hardware and is constructed to be very durable. The wah on the pedal is designed primarily to work well with bass tones. The filter is adjusted to affect the upper range of the instrument mostly. The high-frequency filter makes the foundation of your sound stay intact while you are using it live or in the studio. You can adjust the Q rating of the pedal with a knob on the side. It took me a while to realize that the adjustments only affect the bottom range of the signal. The volume function on the pedal is quality. I found the slope to be very smooth but it’s not as gradient as some competitors. Stanley Clarke is one of my biggest bass influences. He is truly one of the virtuosos of the electric bass and one of the masters of using a wah. High frequency response – This is something that is necessary if you are going to put Clarke’s name on something. The range in the filter from all the way down to all the way up is incredibly broad. You can also adjust the Q filter to make the parameters of the wah as wide or as thin as you prefer. 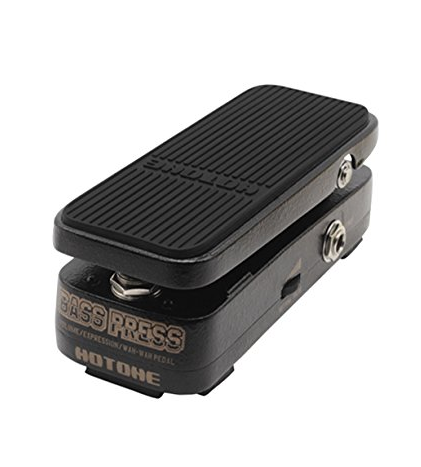 Ease of use – Some wah pedals are hard to manipulate because of the lack of space for modulation knobs. The EBS Stanley Clarke Signature Wah-Wah Bass Effect Pedal makes space for a mode, range, and width knob without making the pedal too cumbersome. The mode knob – This pedal can control the volume of your signal as well. The two functions can be toggled easily using the mode function. The even pots of the device make it the modulation smooth whether it is being used as a wah or a volume. All EBS products constructed with a durable design. It is powered via a 9V adapter or battery. Price - it is the most expensive out of our list. This is the first time I have ever seen a white wah pedal. While the color isn't the reason why I chose it, I do love the look of it! Ok, but what about the tone? Damn! It really pulled something new out of my playing. I found that it didn't affect my main tone - it kept the lows very well and it just added the effect. It sounds awesome when playing a bit of slap with it - really helped me get a great slap tone that I have been trying to get for so long. And it didn't break my budget! Dunlop 105Q Cry Baby Bass Wah A great start to a great funky bass tone. 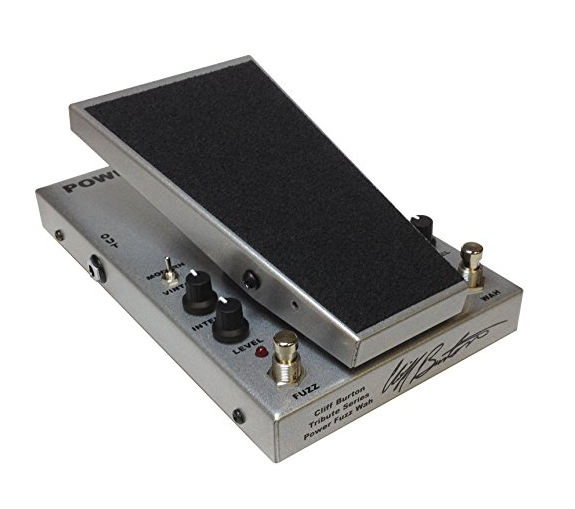 Morley PFW Cliff Burton Tribute Power Fuzz Wah Get the wah tone of a true bass legend. 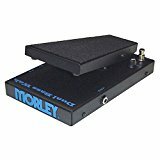 Morley PBA-2 Dual Bass Wah with Two Wah Modes Two wah's in one! Hotone Audio BP-10 Bass Press 3 in 1 Vol/Wah/Expression Bass Guitar Effects Pedal Lots of versatility for your bass tone. EBS Stanley Clarke Signature Wah-Wah Bass Effect Pedal A bass wah master's choice. Bass guitars are particular types of guitars that are used for providing a solid beat framework for playing melodies. They are also used by some soloists in certain styles of music. 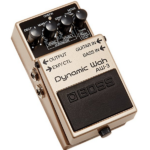 As such, the wah pedals for bass guitars are unique and distinct from other effects pedals. Picking the right effects pedal for a bass guitar is paramount to making the most out of the instrument. If you don’t know how to choose the right pedal, take into account the following considerations when looking for a bass wah pedal. No matter what type of tunes you wish to create with an effects pedal for a bass guitar, make sure you consider reliable brands. Never consider pedal brands that are new in the market. While the pedals offered by a new brand might be really cost-effective, you may end up expending your money on a poor quality product that is not capable of producing desired levels of tunes. Obviously, you don’t want to spend your time and money again and again on finding a quality bass effects pedal. Consider popular brands that are well known for offering top class pedals with higher longevity. Although such a bass pedal may be a bit pricey, the price is worth the product that will serve you longer for creating amazing sounds. Reviews and ratings from users are extremely useful in judging the worth of a bass effects pedal. Reviews can make or mar the product no matter how good it is. If a particular product is not backed by positive reviews, it is not worth the purchase. Users or professional guitarists often post their feedback about particular effects pedal brands. You can surf those reviews and find out how credible and reliable a particular brand is. In line with ratings and feedback, concentrate on a few brands that are highly backed for providing quality pedals at reasonable prices. Now that you know what to look for in a bass wah pedal, it’s time to shop wisely to bag the best pedal. Compare the quality, longevity, pricing, shipping and refund policy of all brands in great detail. Go through the terms of purchase of each brand properly to avoid regretting later. Also, make sure the brands in consideration offer a generous money back guarantee. This will ascertain you can seek a refund in case you are not happy with the quality of the pedal. 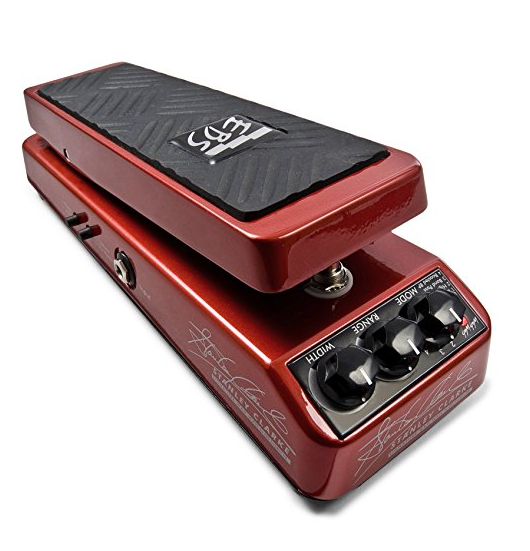 After reviewing various effects pedals, choose the brand that offers a high quality bass wah pedal in return for a modest price. 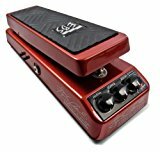 You will find a range of best wah pedals for bass guitars, with some pedals particularly designed for basses and others are general purpose pedals. However, if you are looking for a distinct and innovative pedal, take into account the above considerations when looking for a bass wah pedal. With the choice of the right pedal brand, you can create amazing, innovative tunes and take your music career to new heights. And if you are confused about choosing your first bass guitar, I will tell you about my friend John Anthony the owner of GuitarListy.com. He has written an awesome buying guide about the top-rated bass guitar. You may check this.